For Jill Johnson, what started as a way to save money while growing up has turned into a way to support the community and provide a valuable lesson in finance. Johnson, vice president of lending at Community Financial, learned the benefit of shopping at garage sales as a child and has maintained the same perspective as an adult with her own family. According to Johnson, it just takes a little bit of time and strategy to find what you’re looking for when garage sales pop up in the spring and summer. Veteran garage sale goers many times have a plan and know exactly what to look for. 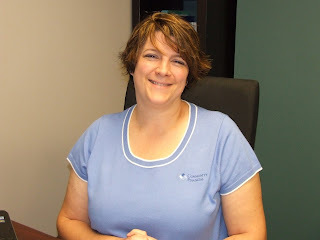 Community Financial VP of Lending Jill Johnson has attended garage sales since she was a kid. Some people travel to different neighborhoods or cities to find the best sales, but Johnson prefers to stay local. Shopping at garage sales can save a tremendous amount of money, even compared to resale or thrift stores. As a mom with a newborn baby at home, Johnson has found garage sales to be even more valuable. Johnson estimated that in general, she saves about 50 percent and approximately 90 percent off retail stores by shopping at garage sales. She also likes garage sales because they directly impact and support her community. For a list of garage sales in your area, visit yardsalesearch.com.